Dr. Rhett J. Griggs, M.D. Dr. Rhett J. Griggs is a nationally recognized orthopedic surgeon who specializes in disorders of the hand, wrist, elbow, shoulder, and knee with a special interest in trauma and all sports related injuries. Through the use of biologics and advanced open and arthroscopic surgical techniques Dr. Griggs focuses on restoring damaged ligaments, joints and bones. As an upper extremity and sports medicine specialist, Dr. Griggs routinely treats elite athletes. From weekend warriors to pro athletes, Dr. Griggs provides the same cutting edge care and personalized treatment to all patients. Board Certified by the American Board of Orthopaedic Surgery, Dr. Griggs is also a member of the American Academy of Orthopaedic Surgeons. Dr. Griggs serves as the medical director for the Mountain Sports Team at Western State University. He is also the current medical director of the U.S. Ski Mountaineering Association. Dr. Griggs is an orthopedic trauma consultant with Smith and Nephew, consults with Pearl Izumi cycling company, and is recruited to speak regularly on the topic of hand surgery. A native of Jackson, Wyoming Dr. Griggs grew up skiing, biking, pack tripping, hunting and playing team sports. He competed in multiple Junior Olympics as a ski racer, was a member of a State champion football team, multiple little league all-star baseball teams and loved to spend time with his family in the backcountry. He attended Colorado State University for two years where he competed in cycling. He then transferred to Loma Linda University in California to complete his degree in Occupational Therapy and have the ability to ride year-round. Upon completion of his OT degree he moved to New Orleans to complete a hand therapy fellowship. For four years Dr. Griggs worked as an occupational therapist; during his tenure as an OT he began Teton Hand Therapy with his mother. Working closely with hand and sports surgeons in Denver and Jackson sparked his interest in orthopedics and he decided to return to school. Dr. Griggs received his medical degree from Saba University School of Medicine and performed his internship at the renowned Mayo Clinic in Rochester, MN. Following his internship Dr. Griggs completed his 2nd and 3rd years of orthopedic residency with Maricopa in Phoenix, AZ where he gained extensive exposure to trauma and sports medicine. He completed his 4th and 5th years of residency at the University of Florida in Gainesville where again he had significant exposure to sports medicine and orthopedic trauma. Following his residency Dr. Griggs elected to obtain a fellowship in hand, elbow, and shoulder orthopedics. He was selected for a highly competitive fellowship with his mentor Dr. Paul Dell in Gainesville. During fellowship, he was able to gain expertise in microvascular surgery, reconstruction, hand, elbow and shoulder arthroscopy and arthroplasty as well as attend to complex orthopedic trauma cases. Upon completion of his fellowship Dr. Griggs interviewed all over the country however came to the conclusion that he wanted to raise his children in a place similar to Jackson. He moved to Crested Butte in July 2008 and has worked diligently to provide patients with world class care since then. 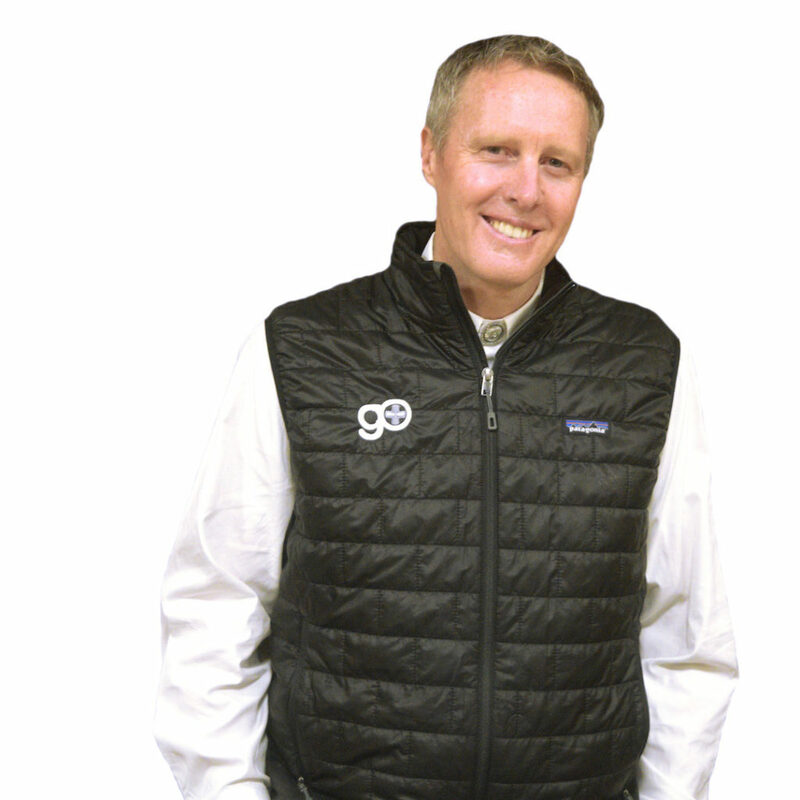 Dr. Griggs and his wife have two children and are very active in the Gunnison Valley community. An avid outdoorsman, Dr. Griggs also enjoys skiing, ski mountaineering, cycling, and hunting.